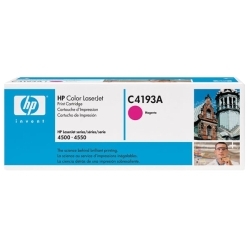 HP Color LJ 4500 Series Magenta Toner (C4193A) : Disk-O-Tape, Inc.
Industry-leading low cost-per-page for four-color outputs. HP Ultraprecise Toner Cartridge with magenta toner for the Color LaserJet 4500/4550 Series printers. Maximum-capacity cartridge prints approximately 6,000 pages, based on 5% average coverage, and contains the toner and developer. Designed to work flawlessly with HP LaserJet Soft Gloss Paper and HP Color LaserJet Transparencies. 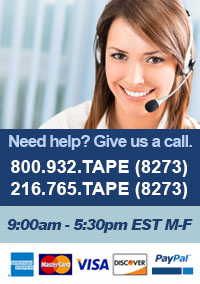 Replacement frequency is about every 3-4 months, although usage rates will vary widely.